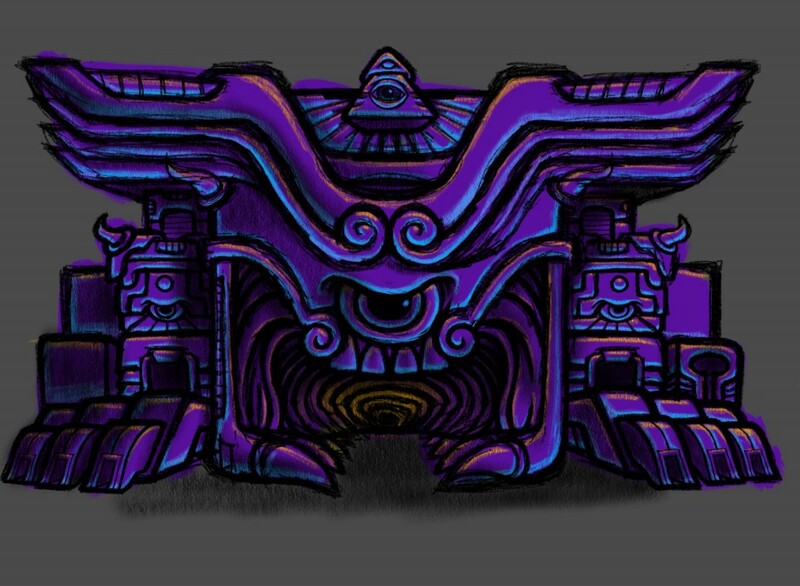 Sketch for the Anger Temple. The blue highlighting from below really adds to the effectiveness of these, which I discovered while working on the color art for this one. Created in Procreate on the iPad. 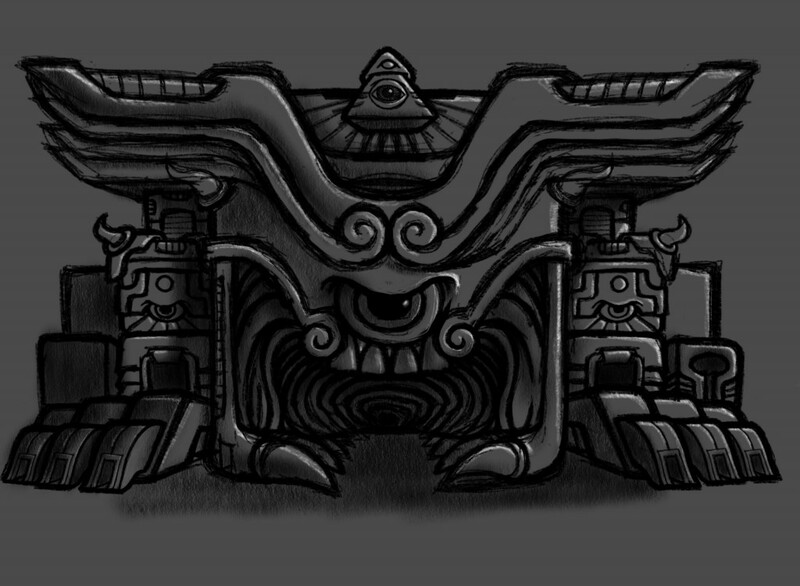 Check out the grayscale version below, and the alternate green/yellow version of the Anger Temple. This entry was posted in Art and tagged art, creature, drawing, monster, sketch, temple. Bookmark the permalink.